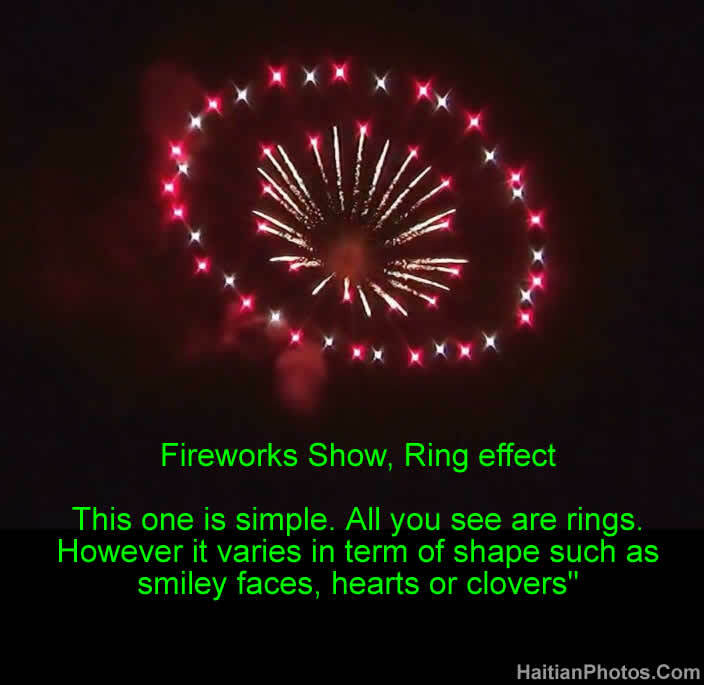 Fireworks Show, Ring effect is simple. All you see are rings. However it varies in term of shape such as smiley faces, hearts or clovers. Rings: When these shells burst, they look like numerous stars specially arranged in a way to create a ring like look... often with a blank centre, often in two colours. On the other hand, Peony is the most commonly seen shell type firework. It is a spherical break of colored stars without any tail effect. These shells can be identified by their spherical construction and their effect is to create a perfect fire "flower" in the sky. In Japan, they are described as "Hanabi".